Nick Jonas — BODY of JONAS! 20-year-old Nick Jonas finally put to rest any question as to who is the hottest Jonas Brother. Tyra Banks …. Um, WHAT?! July 30, 2013 // Beauty, Body, Faces, Fashion, Um, Why? 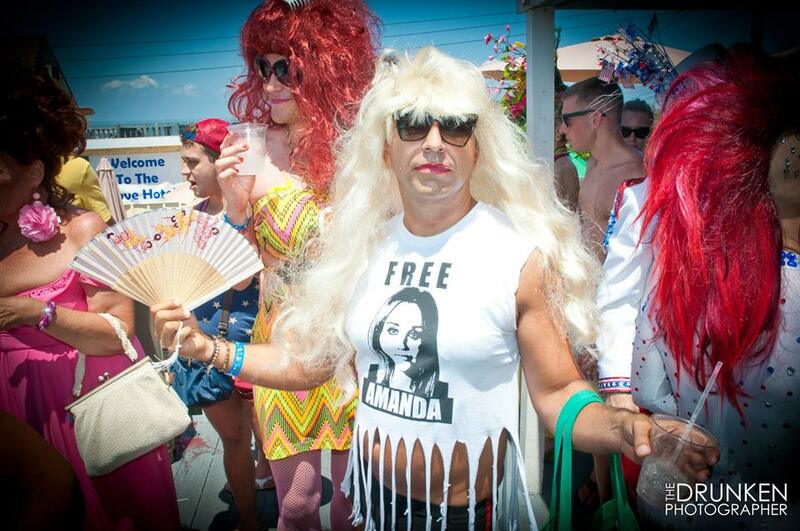 Congratulations, you’re still in the running to be America’s Next … Traci Bingham. 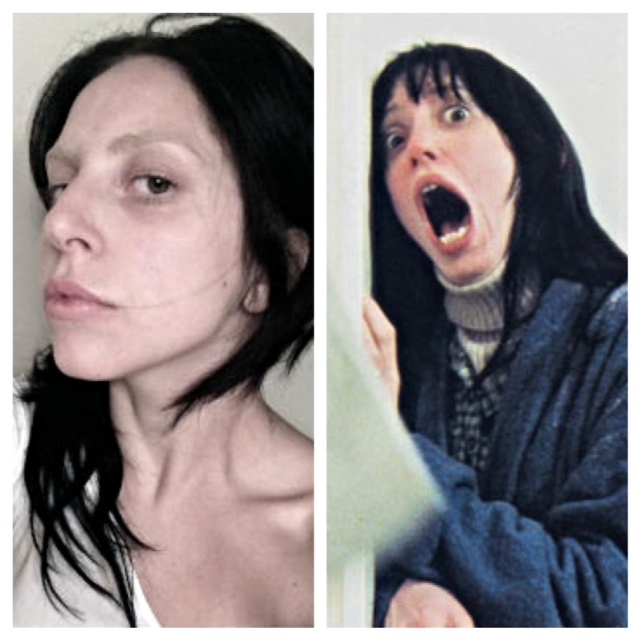 Lady Gaga Conjures Up New Look! 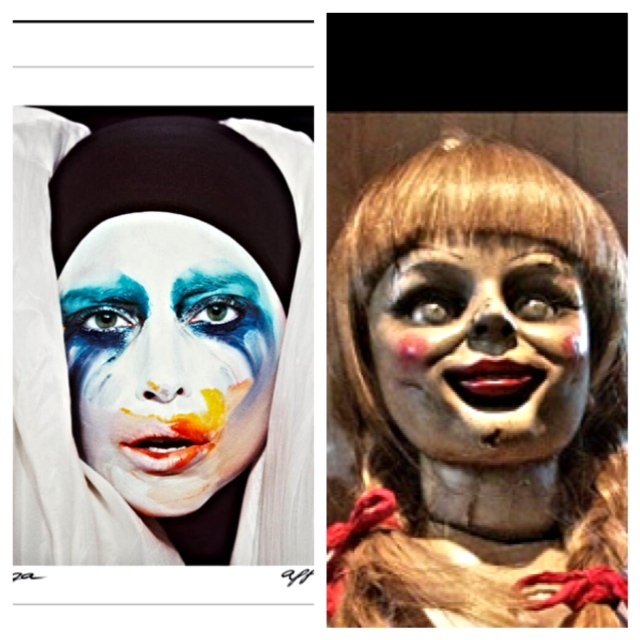 Lady Gaga revealed the cover art for her new single “Applause” … and it’s a haunting image. While many are saying it’s similar to a look Madonna wore on her “Girlie Show” tour in 1993 … there are also touches of everyone’s new favorite creepy horror doll, Annabelle from “The Conjuring.” Synthetic weave sold separately. July 27, 2013 // Beauty, Body, Faces, Fashion, Gay, Yes! 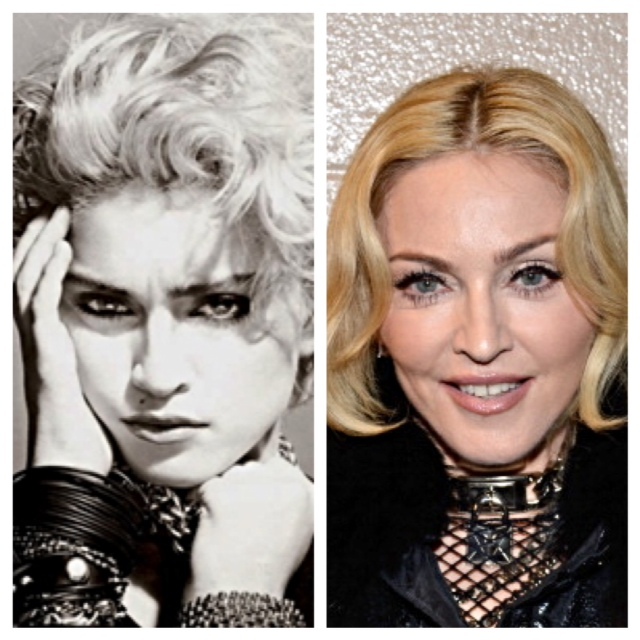 While her face may only be around 12, Madonna‘s self-titled debut album turns 30 today. On July 27, 1983, the 24-year-old future Queen of Pop began her reign and changed the world for everybody … especially for a certain 11-year-old boy in Queens. No word on how Britney and Gaga plan to spend this Holiday. Lady Gaga — Shining Beauty! July 25, 2013 // Beauty, Faces, Fashion, Gay, Um, Yes! Lady Gaga removed the mounds of pancake makeup, synthetic weaves and co-opted vintage Madonna costumes to pose for a raw selfie on her website yesterday … and it’s a killer pic. While the similarities to Shelley Duvall in “The Shining” are totally coincidental, the results are a bloodcurdling scream. Amanda Bynes Dragged to Loony Bin! Following in Britney Spears’ barefoot gas station footsteps, former actress Amanda Bynes was put on a 5150 hold and hospitalized after attempting to start a small fire outside a house in Thousand Oaks, CA on Monday night. While ‘Manda wasn’t hauled off on a gurney a la Spears in 2008, the 27-year-old did show some creativity by making arson the new It crime in town. Even Lindsay hasn’t done that yet! But let this be a cautionary tale to every wannabe young Hollywood imploding starlet … synthetic weaves are very flammable. July 17, 2013 // Beauty, Body, Faces, Fashion, Gosling Alerts, Man, Yes! Residents of New York City bore witness to the Rapture as the Almighty himself, Ryan Gosling, made a rare red carpet appearance in full human physical form at the premiere of his new film “Only God Forgives” on Tuesday. Check out those big bad man hands! Even with his smooth ripped muscles safely ensconced underneath a cool sand-hued suit, the 32-year-old heavenly creature is hotter than hell. Rita Ora isn’t gonna take it anymore. 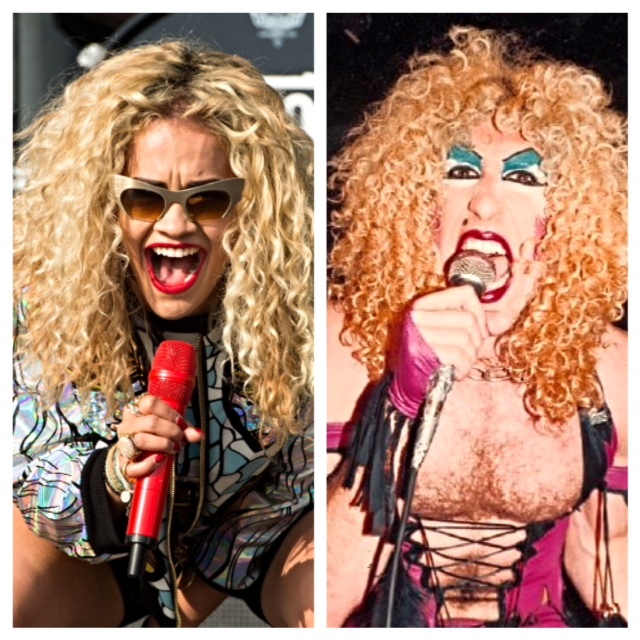 The 22-year-old Kosovo-born Rihanna meets Gwen Stefani doppelgänger did her best Twisted Sister impersonation at the Yahoo! Wireless Festival in London over the weekend. Dating Rob Kardashian wasn’t the only thing that was a drag. CZJ – Moore Beautiful Post-Rehab! July 12, 2013 // Beauty, Faces, Fashion, Yes! Catherine Zeta-Jones has totally rehabilitated her look. 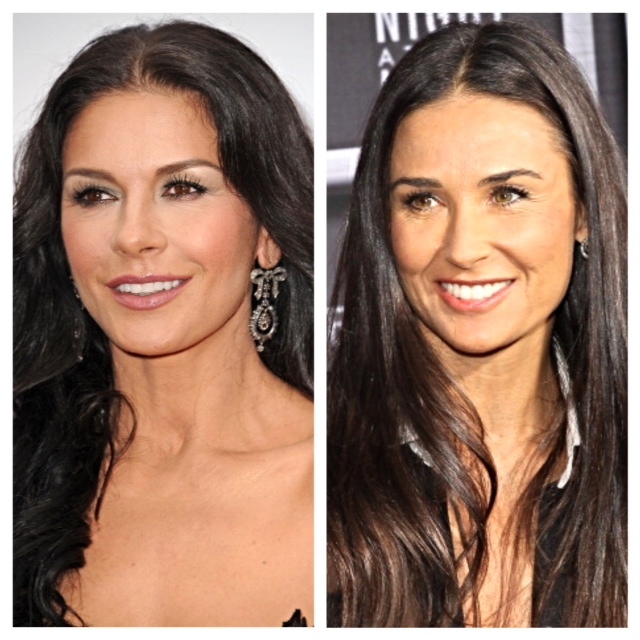 Giving Demi Moore a run for her ageless brunette post-rehab glamour, the 43-year-old glowed at the premiere of “Red 2” in L.A. on Thursday. Twinsies CZJ & Demi know looking this fabulous takes 12 steps. July 1, 2013 // Beauty, Body, Faces, Fashion, Yes! Naomi Campbell was schoolin’ life — and all the little anorexic model chilrins — on how to own a catwalk as she strutted her 43-year-old fierceness down the runway for the Versace fashion show in Paris on Sunday. Bow down … or you will be hit with a phone.